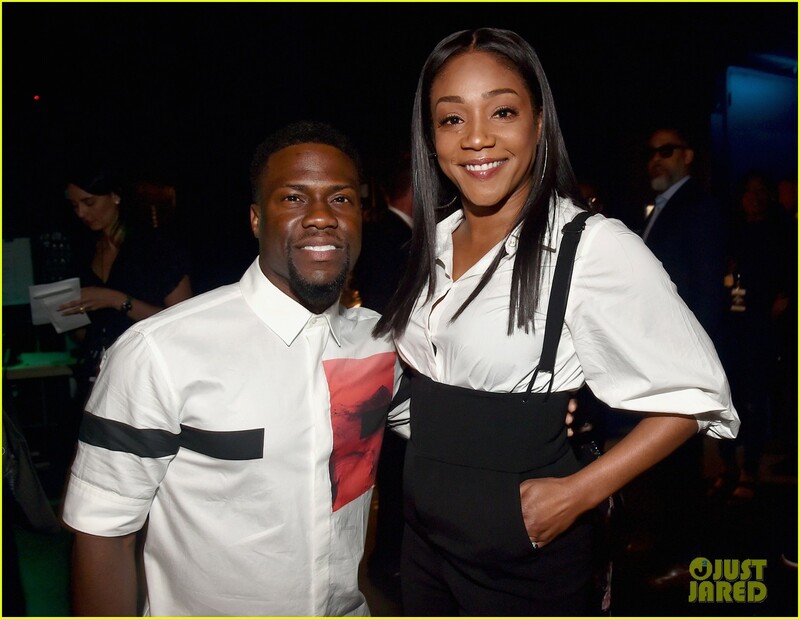 Kevin Hart and Tiffany Haddish are having a hilarious game of cat and mouse, and we definitely love to be a part of the game. On Thursday, the Girls Trip actress, 38, ambushed her comedian and Night School costar and dropped the few hundred dollar bills on him during a video interview. “I’m making it rain,” she said before walking away. Hart has consistently refused to take back the $300 Haddish reportedly owed him from her time as a struggling, homeless standup comic, and Haddish thought she had finally gotten the upper hand. But Hart, 39, who posted the incident on his Instagram account, retaliated by letting a confident and vindicated Haddish know he’d sneakily put the money back into one of her wig caps through his caption.